SAN ANTONIO – Opening in 1968 as the Texas Exhibits Hall for San Antonio’s HemisFair, the Institute of Texan Cultures continues to preserve and present the stories of Texans. As a component of The University of Texas at San Antonio, the museum is aligned with the academic mission of the university. The main exhibit floor showcases the stories, artifacts and life ways of cultural groups that settled and established modern Texas, including Paleo-Indians, European explorers, Asian immigrants, and other cultures. 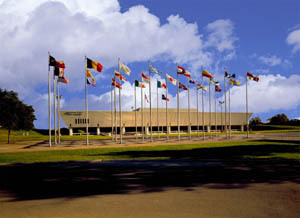 The Institute of Texan Cultures serves as the forum for the understanding and appreciation of Texas and Texans through research, collections, exhibits, and programs. Unique to the museum is the 26-screen Dome Show Theater. Multimedia presentations literally surround visitors with stories of Texans. The institute maintains “The Back 40,” an outdoor interpretive learning area comprised of five 19th century structures: a log cabin, a barn, a one-room schoolhouse, an adobe house and a frontier fort. 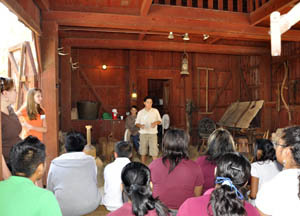 Staff and volunteers provide tours that offer a glimpse into frontier life. The Back 40 is featured prominently in the Spring Break on the Back 40 and Texas Trails & Tales programs. The museum hosts events throughout the year celebrating cultural heritage. The Asian Festival occurs the week of the Lunar New Year, and brings togethercommunities of Chinese, Japanese, Korean, Thai, Indian, Pakistani, Filipino and Hawaiian Texans to share their music, dance, food and fellowship with the larger San Antonio community. On the second weekend in June, the museum hosts the Texas Folklife Festival. The annual festival gathers nearly 250 participating organizations representing 40 distinct cultural groups from across the state. Modeled after the Smithsonian Folklife Festival, the event has been celebrated for 40 years and brings to life the stories and cultures represented on the exhibit floor. In 2010, the museum became an Affiliate of the Smithsonian Institution in Washington, D.C. Affiliate status grants the museum access to the Smithsonian’s artifacts, educational programs, expert speakers and other resources. The agreement marks a new era for the museum, with a series of upgrades planned for the main exhibit floor. As The University of Texas at San Antonio strives to achieve national research university status, the museum strives to become a cultural institution of equal caliber. An expanded Education and Interpretation department focuses on creating educational materials to accompany each new exhibit. Educational specialists train teachers on using museum resources including the exhibit floor, photo archives and oral histories to fulfill Texas Essential Knowledge and Skills requirements. Portions of the historic photo archive are being digitized for online browsing, with more than 35,000 images currently available. The Institute of Texan Cultures plays an important role in UTSA’s effort to attain national research university status. Coupled with emerging plans for the redevelopment of HemisFair Park, the Institute of Texan Cultures looks to a bright future. The Institute of Texan Cultures is located on the UTSA HemisFair Park Campus, 801 E. Durango Blvd., a short distance from the Alamo and the River Walk. Regular hours are 9 a.m.-5 p.m., Monday-Saturday; noon-5 p.m. Sunday. Admission is $8 for adults (ages 12-64); $7 for seniors (ages 65+); $6 for children (ages 3-11); free with membership, UTSA or Alamo Colleges identification. For more information, call 210-458-2300 or visit TexanCultures.com. 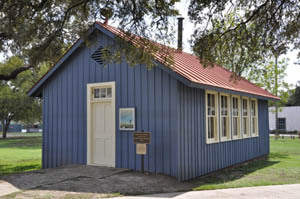 The Institute of Texan Cultures serves as the forum for the understanding and appreciation of Texas and Texans through research, collections, exhibits, and programs. The museum strives to become the nation’s premier institution of contemporary cultural and ethnic studies focusing on Texans and the diverse cultural communities that make Texas what it is. An agency of the Vice President for Community Services at The University of Texas at San Antonio and a Smithsonian Affiliate, the 182,000 square foot complex, featuring 45,000 square feet of exhibit space and five recreation Texas Frontier period structures, is located on the UTSA HemisFair Park Campus in downtown San Antonio. Resources for multiple audiences are available at TexanCultures.com. The Institute of Texan Cultures first opened in 1968 as the Texas Pavilion at HemisFair. Today, as part of The University of Texas at San Antonio, it continues to serve as an educational center where learning about Texas history and cultures is fun! Some 300,000 people visit each year, including more than 70,000 schoolchildren. 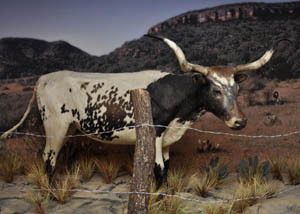 The Tejano area now features two miniature dioramas depicting San Antonio in the 1790 s, in which the diorama figures speak from different perspectives through touch-activated conversations. Added in June, 1996: a mission chapel scene, a home interior, and a soldier environment ( soldado de querro ), with accompanying mannequins, maps, and quotes from people of the periods. New in the Native American area: an interactive multimedia unit offering a detailed look at Texas's contemporary Indians how they live and work today. Featured are the Alabama-Coushattas, the Tigua Indians of Ysleta del Sur, the Kickapoo Traditional Tribe of Texas, and the Urban Indians of Texas. A Multimedia Show in the Dome Theater entitled, The Faces and Places of Texas, shown four times a day. Since its debut during HemisFair 68, it has been shown more than 30,000 times to over five million people! 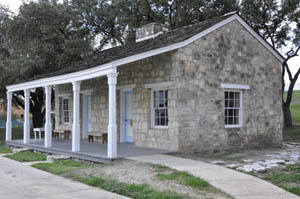 The Back 40 behind the Institute containing turn-of-the-century interpretive areas: windmill, dogtrot log house, adobe house, frontier fort, Hill Country barn, one-room schoolhouse, and immigrant wagon. The Institute neither owns nor collects major works, as most exhibitry is donated or loaned. The research library, however, is a major resource for Texas culture and history studies. Its extensive files on Texas ethnic groups are organized with cross- references to geographic places, associations, religious gorups, and individuals. The library houses a selective colection of books, ethnic newspapers on microfilm, and oral histories, and is open to the public by appointment. Institute researchers and photo archivists selectively acquire, catalog, and preserve images relating to Texas culture and history. The majority of the more than 2,000,000 images are available for public use. Focusing on stories passed down through the generations, this exhibit explores the turmoil and social upheaval that caused thousands of Mexicans to flee their homeland during the 1910 revolution to seek a new life in Texas. The exhibit looks at these families' triumphs, contributions and challenges through oral histories passed down through the generations. This yearlong exhibit showcases the stories, images, sounds and artifacts from the Texas Folklife Festival’s most memorable moments. During the year, festival participants have been invited to put on dance and musical performances or demonstrations of their crafts. Visit TexanCultures.com for the latest schedule of events. A traveling exhibit organized by the Arkansas Museum of Discovery, “Football; The Exhibit” studies the science behind the game. Hands-on activities throughout the exhibit teach about balance, trajectories, impact forces and other aspects of the game. Concurrently, the Institute of Texan Cultures presents “Texas Football: In Their Words.” The exhibit explores the role football culture plays in our lives by asking players, coaches, cheerleaders, bandsmen, fans, parents, and many others, “what does football mean to you?” Responses shed light on the motivations and inspirations behind football becoming for many not only a game, but a way of life. Rex Hausmann’s “Ithica ” is inspired by a Constantine Cavafy poem of the same title. The poem speaks of a sailor’s journey and arrival at port, analogous to Hausmann’ time away from San Antonio. His paintings incorporate personal mementos with iconic San Antonio images, such as ButterKrust bread packaging, the Cool Crest miniature golf sign, the Olmos Pharmacy marquee and other landmarks. The Texas Contemporary Artists Series is curated by Arturo Almeida, curator for the UTSA art collection. For 25 years, the relationship between Smith and Texas Highways magazine has captured, in images, for Texans and people around the world, the history, grandeur, diversity, and uniqueness that is Texas. This exhibit, curated by Mac Woodward and Casey Roon, will recognize the talent of J. Griffis Smith and the contribution Texas Highways has made to encourage the exploration of Texas. The exhibit will also examine the process from concept to publication of how Smith and Texas Highways magazine have defined and carried out their mission. The Southern Texas Archaeological Association quarterly meeting and lecture series will be hosted at the Institute of Texan Cultures. The public is invited to social hour at 10 a.m. and the lectures at 11 a.m. in the Connolly Conference room. Kristi Ulrich of the UTSA Center for Archaeological Research presents “Archaeological Investigations at an Early Archaic and Paleo-Indian Component Site in Brackenridge Park.” Steve Tomka, director of the UTSA Center for Archaeological Research presents “The Spear versus the Arrow: Explaining Why the Bow Prevailed Over the Atlatl.” Lectures are free; but do not include access to the main exhibit floor. "Texas Toys," an exhibit presented by the Institute of Texan Cultures, will explore the art, design and cultural values expressed in handmade folk toys. Visitors will learn about the ancient roots of many Texas folk toys and the modern toys that they have inspired. From fantasy make-believe to pretending to be adults, folk toys made from local materials such as wood, clay, cloth, or even corn husks, reflect local life and culture. These humble materials come to life in a child’s hands and present life in miniature. The exhibit will open on November 18, 2011. Held the week of the Lunar New Year, the Asian Festival is a celebration of the many cultures of Asia, from mainland China, to the Indian subcontinent, to the islands of the Pacific. Enjoy food, music, dance, martial arts demonstrations, a Lion Dance parade and more. The Texas Contemporary Artists Series exhibitions showcase the talents of some of Texas’ premier artists. This series focuses on the work of contemporary artists who call Texas home. Common to all of their work is the bold vision and unbridled exuberance that is the quintessence of Texan culture. The Texas Contemporary Artists Series is curated by Arturo Almeida, curator for the UTSA art collection. A family-friendly Spring Break option and a great part of a day in downtown San Antonio, the Institute of Texan Cultures takes families on a trip to the 1800s Texas frontier. Spring Break on the Back 40 features five reproduction period buildings and activities commonly associated with them. The museum’s Back 40 outdoor learning area includes a dog-trot log house, adobe house, cavalry fort, one-room schoolhouse and barn. The Texas Folklife Festival distills the essence of Texas into a three-day celebration of music, dance, costume, crafts, food and diversions from the many unique cultures that call Texas “home.” The festival features some 40 unique cultures, represented by 250 participants and groups, 150 menu items and six stages of music and dance. For thousands of years, the only people in Texas were Native Americans. In the early 1500s, their world dramatically changed. Spanish explorers set foot in the region, and over the next three centuries, Spaniards, Canary Islanders, and Mexicans transformed the people and the land once known as Techas into today’s Texas. This new exhibit will explore this ongoing process of change, and highlight the many lasting contributions resulting from this centuries-old flow and mixture of peoples. From the National Museum of the American Indian and the National Museum of African American History and Culture comes an important and enlightening exhibition about the intersection of American Indian and African American people and cultures. “IndiVisible: African-Native American Lives in the Americas” explores historical and contemporary stories of peoples and communities whose shared histories are woven into the fabric of American identity but whose presence has long been invisible to many in the United States. The exhibition sheds light on the dynamics of race, community, culture, and creativity and addresses the human desire to belong. 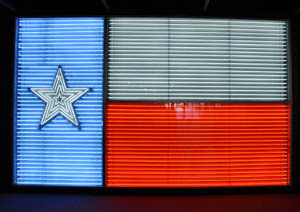 IndiVisible is the first Smithsonian exhibit to be hosted at the Institute of Texan Cultures since becoming a Smithsonian Affiliate in early 2010. Special rates for school and tour groups and on special event days. Located at Bowie Street and Durango Boulevard on HemisFair Park in downtown San Antonio.